Rutger Berntsen, founder of international company, OxygenWorldwide has designed and named the M.O.V described as a body warmer vest that was based upon the principles of a portable oxygen concentrator (POC). This medical oxygen vest contains the necessary equipment to provide medical oxygen to the wearer. The vest would be ideal for oxygen users who require a constant supply of medical oxygen and the life line of being able to be mobile and freely move around without the constraints of a more conventional oxygen device. The M.O.V is designed for e.g. young children or active sport users to give the ability to move around more freely such as going to play a game of golf or running around in the playground. 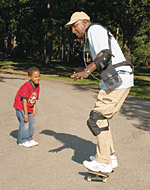 A portable oxygen concentrator (POC) is normally carried around by means of a shoulder strap. This is not convenient when one has to make movements beyond normal walking. The main advantage of the M.O.V. is that the weight of the equipment in the vest is equally divided over two sides located under the arm pits. The fact that the equipment is ‘concealed’ inside the vest could take away the burden of having to carry around a medical device, which to many medical oxygen users indicates the appearance that you are in fact a ‘patient’. Flexible solar panels are placed on the chest and back of the vest to provide (at this stage) power to the display panel. To make the system fully operational the batteries should (at this stage) be charged by plugging into a AC outlet. For nearly 22 years we have been arranging medical oxygen on the Spanish Canary Islands Not only Gran Canaria and Tenerife but also the smaller islands like La Palma de Gran Canaria, Hierro, Fuerteventura, Lanzarote and Gomera. OxygenWorldwide provides Gran Canaria & Tenerife with LOX Liquid oxygen (LOX), concentrators (CON), portable concentrators (POC) and large cylinders (GOX /BOT). For all other islands we can arrange concentrators (CON) and/or portable concentrators (POC) in combination with a stationary concentrator (CON) for use indoors and/or during the night. OxygenWorldwide provides our own ‘Airport Service’ (A.S) in the 100 countries where we are active. We provide an Airport Service at all Canary Islands but in principal only during weekdays (Monday – Friday). But if you requires this service during the weekend please contact our 24/7 helpdesk (in 5 languages) to check whether we can still accomodate you and make this possible. An Airport Servcie means that we have, on your arrival, someone at the door of the aircraft to hand you over a portable oxygen device so you can make your way to your hotel etc. with oxygen. On your departure we will again have someone at the door of the aircraft who will collect the equipment again from you. In case, due to custom regulations, we can not meet you at the door of the aircraft we will have someone to meet you in another place within the airport. Mainly due to the perfect climate, especially in the winter time, many people spend their winters at one of the Canary Islands. As we at OxygenWorldwide have been in the medical oxygen business for over 22 years we know more than anyone else that being mobile is the most important thing when it comes to holiday making. Therefore we constantly strive to try to improve the provision of mobile oxygen equipment. For years only liquid oxygen was in demand and needed to be made to be mobile by means of a stroller, which was filled on a base unit. However currently many oxygen users prefer the portable concentrator. In cases where you may want to bring your own portable oxygen concentrator but a back-up is required in case the POC might break down or is not suitable to use 24 hors per day, OxygenWorldwide can arrange a back-up cylinder for inhouse use and/or during the night. We hope you have a great stay on the Canary Islands. The air around you contains about 80 percent nitrogen and 20 percent oxygen. If you require the use of portable oxygen to aid with a medical problem then you require a much higher percentage level of oxygen which can be delivered straight to your lungs by portable/at home devices. One such device is an oxygen concentrator. Your oxygen concentrator takes in air from the surroundings and splits the oxygen from the nitrogen. It then releases the nitrogen back into the surrounding air. The concentrator collects and stores the oxygen and then dispenses it back to the patient. As long as you have it running and set properly, your oxygen concentrator is continually “making” 90 – 95 percent pure oxygen out of normal air, so you’ll have all you need. Oxygen tanks are already pre-filled with oxygen and have to be re-filled whereas concentrators can make oxygen as it goes. Tanks also run the risk of leakage, which can cause explosions/fires and are heavier and more difficult to move around with. Concentrators do not pose any danger and the other main benefit is mobility. Most of the concentrators are portable, which means they’re designed to be used at home, on the go and even on a plane, therefore you’ll always have all the oxygen you need, no matter where you are. Concentrators also have the option of pulse-dose or continuous administration. Pulse-dose is a newer oxygen therapy technology that delivers oxygen through your cannula only when you breathe in. Continuous flow oxygen is constantly flowing through the tubes. You should talk to your doctor about which dosing method is right for you. Pulse-dose technology can be delivered in a smaller size and will allow for longer battery life. Alternatively, most patients who require oxygen for sleep, use a continuous flow dosage due to shallow night breathing. Sometimes it’s necessary to use continuous flow oxygen while you sleep and pulse-dose oxygen during the daytime. Billions of us travel by air each year however we are all individuals with varying needs, including a range of medical conditions and all airlines have different policies regarding this. For example some airlines will require a medical certificate to prove that you fit to fly. The airline needs to ensure that air travel will not worsen or agitate a pre-existing condition and also that the patient’s ailment will not affect the comfort or safety of other passengers on the flight. Regardless of a doctor’s medical certificate the final decision remains with the airline and the captain of the flight and they may still refuse carriage. A main considering factor involved in this decision making process is the affect of altitude, humidity and oxygen saturation levels during flight. 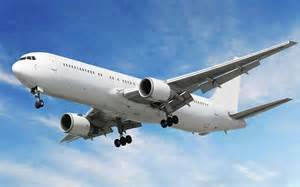 Modern aircraft have a cabin altitude pressure equivalent of between 5,000 and 8,000 feet above sea level. 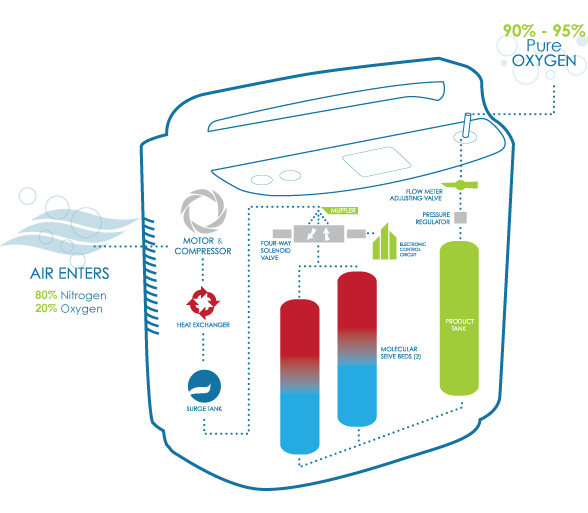 (source: cyprusairways.com) This means that your blood will not be as saturated with oxygen and can affect breathing, cardiac activity, circulation and brain activity. Sometimes during flight, although not normally for long periods of time, a person’s oxygen saturation level can fall to 90%. A healthy individual can tolerate this temporary change with no problems however a patient with cardiac, anaemia or respiratory problems may find themselves in serious difficulties. Aircraft cabins have low humidity levels that dry out the air; this can cause dryness of the skin or other mucous membranes within the body such as the throat and lungs and affect respiration. Reduced cabin pressure can also cause gas volume expansion. Any gas that may have inadvertently been introduced to the body during surgery could then expand and cause pain or even perforation through the membrane. A main deciding factor in whether or not a person may be considered ‘fit to fly’ is their oxygen saturation level. If a person’s saturation level is equal to, or more than 95%, they do not need oxygen for flying. If an asthma sufferer has a stable status then they should be able to fly as long as they keep their medication to hand. Anyone with an active exacerbation of respiratory disease should wait until their condition has improved before considering to fly. Consultation with a doctor or respiratory specialist will aid in ascertaining whether it is wise to fly or whether additional aids or medication would be wise to use during the flight. This may also help to persuade the airline that you are fit to fly. As passengers sometimes cannot take their own oxygen equipment on board due to regulatory requirements although this is changing and more and more POC’s (portable oxygen concentrators) are allowed on board of the aircraft. If a passenger has used oxygen provided by the airline company he or she will have to pre-arrange oxygen at the end of the flight. OxygenWorldwide does provide an Airport Service where they have somone waiting at the door of the aircraft to hand over a portable oxygen device so one can travel onwards to their hotel or other holiday destination. An Increasing number of people are now travelling to greater heights as it is becoming more readily accessible and cheaper to do so. However there can be adverse medical implications from doing so. Altitude sickness can affect people that ascend to more than 2500 metres of altitude, whether by climbing or being transported to these heights. It can also affect a person if they ascend too quickly for the body to adapt. It can present with mild symptoms that can subside when the individual has rested or returned to a lower altitude. However more extreme symptoms can be life-threatening if not counter-acted or treated. Altitude sickness occurs because as you ascend to higher altitudes the air pressure reduces. The air still contains the same proportion of oxygen but as the air is thinner at higher altitudes there are fewer oxygen molecules available in each breath. This means that you have to breathe deeper and faster to obtain the same amount of oxygen that your body requires. If you ascend at a slow rate your body has a chance to acclimatise and adapt to the changing conditions. Your breathing rate will slow down as your body makes more red blood cells to carry more oxygen in your blood. The most important initial treatment for someone displaying signs of altitude sickness is to stop the ascent and rest to allow the body to acclimatise. If symptoms persist then drop to a lower altitude. Normal symptoms illustrated by the body whilst it is acclimatising can be an increased breathing rate, deeper breathing, shortness of breath on exercise, changes to breathing patterns during sleep, disturbed sleep or passing more urine than normal. If the affects of altitude are more severe than this then the body can display symptoms of the following three problems; acute mountain sickness, high-altitude cerebral oedema or high-altitude pulmonary oedema. The exact cause of acute mountain sickness (AMS) is not known but it is thought to be a response of the brain to lower oxygen levels in the blood at higher altitudes which produces some swelling of the brain. High-altitude cerebral oedema (HACE) usually develops in someone who already has acute mountain sickness (AMS). The swelling of the brain that has led to AMS gets worse and starts to interfere with the function of the brain. So, HACE is really a severe form of AMS. High-altitude pulmonary oedema (HAPE) is a build-up of fluid within the lungs. The exact reasons why HAPE can develop are unknown. It is thought that the high altitude causes an increase in pressure in the blood vessels around the lungs which leads to smaller blood vessels becoming ‘leaky’, allowing fluid to escape from the blood vessels into the lungs. The most important treatment if you start to develop symptoms of mild AMS is to stop your ascent and to rest at the same altitude. For most people, symptoms will improve within 24-48 hours with no specific treatment. Adapting to conditions (acclimatisation) usually occurs after 1 to 3 days at a given altitude. Simple painkillers and anti-sickness medication can help headache and sickness. You should also make sure that you drink plenty of fluids. However, if your symptoms are severe, they do not improve after 24 hours, or they are getting worse, you need to descend to a lower altitude. You also need to descend urgently if you develop any symptoms or signs of HACE or HAPE. Treatment of HACE and HAPE is similar and most importantly it is to move down to a lower altitude immediately. If this does not happen, or is delayed, death can occur. Treatment with oxygen and medicine can help to relieve symptoms and can mean that getting someone down to a lower altitude becomes easier. However, these treatments do not remove the need for descent. The descent should be at least to the last altitude at which the person woke up feeling well. A device has been developed called a portable hyperbaric chamber. It is, essentially, an airtight bag that is pressurised by a pump. The person with HACE is placed inside it and it can provide the same effect as a descent. They will be breathing air equivalent to that at much lower altitude. This can be life-saving when descent is not possible and oxygen is unavailable. You can also use oxygen (small cylinder) to avoid these problems. 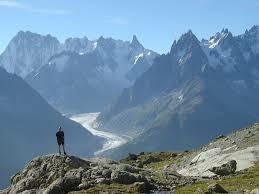 OxygenWorldwide has on certain occasions arranged medical oxygen for mountain climbing. (For availability on your destination check with info@oxygenworldwide.com. Pulmonary Fibrosis (PF) is a debilitating disease, marked by progressive scarring of the lungs, that increasingly hinders a person’s ability to breathe. 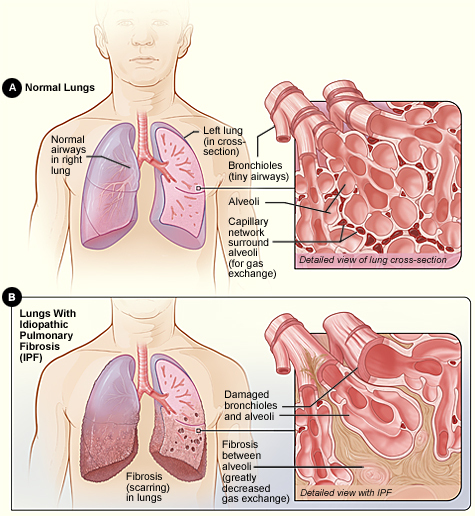 Sometimes pulmonary fibrosis can be linked to a particular cause, such as environmental exposure, chemotherapy or radiation therapy, infection, or autoimmune diseases such as rheumatoid arthritis. However sometimes there is no known cause and is referred to as idiopathic pulmonary fibrosis or IPF. The cause of Pulmonary Fibrosis still remains a mystery, but it is seems to involve changes in the lung’s normal healing processes. Patients may have an exaggerated or uncontrolled healing response that over time produces excessive fibrous scar tissue, or fibrosis, in the lungs. This scarring causes the lung’s tiny alveoli to thicken and harden, rendering them less able to function and provide the body with the oxygen it needs. Pulmonary Fibrosis hinders a person’s ability to take in oxygen. It causes shortness of breath and is usually associated with a persistent dry cough. The disease progresses over time, leading to an increase in lung scarring and a worsening of symptoms. Unfortunately, Pulmonary Fibrosis is ultimately disabling and fatal. If you have been diagnosed with Pulmonary Fibrosis, there are a number of things you can do to take part in your own treatment and help yourself stay healthy. Get your flu vaccine every year. Consult your doctor about enrolling in a pulmonary rehabilitation or respiratory therapy program to help increase your strength, learn breathing techniques, and expand your social support network. Many patients report improved breathing and quality of life after adding education and exercise to their treatment. Eat a well-balanced diet to maintain in ideal body weight. This helps support your body and keeps up your strength. Consider eating smaller, more frequent meals during the course of your day. Many patients find it easier to breathe when their stomach isn’t completely full. When Pulmonary Fibrosis progresses to a point where your blood-oxygen levels are low, another important tool that can help sufferers is supplemental oxygen therapy. Oxygen can be prescribed by your doctor or via a local oxygen supply company. It contains a higher percentage of oxygen and helps increase the amount of oxygen that is available to be transferred from your lungs into the bloodstream, thereby producing more energy to be used by the cells of your body. And in case you need medical oxygen at any destination worldwide please contact us on info@oxygenworldwide.com and we will try to meet your specific requirements. Home oxygen treatment involves breathing high concentrations of oxygen from a cylinder or machine in your home. If you’ve been prescribed oxygen therapy, it’s because your blood oxygen level is low. Low oxygen levels can potentially damage your heart or brain. The main purpose of home oxygen treatment is to raise your blood oxygen to a level that prevents such harm. It also helps relieve breathlessness and other symptoms of low blood oxygen, such as ankle swelling and blue lips. However, using oxygen just for relieving symptoms of breathlessness is not helpful and can cause long term harm by making you less fit. This can also cause a delay in finding out why you are breathless. If you have a medical condition that leads to a low oxygen level in your blood (hypoxia), you may feel breathless and tired, particularly after walking or coughing. You may also have a build-up of fluid around your ankles (oedema) and blue lips. Breathing air with a higher concentration of oxygen can help increase the amount of oxygen in your blood. This makes it easier to do activities that might otherwise be more difficult. It also helps reduce the symptoms mentioned above. heart failure – when the heart struggles to pump enough blood around the body. You breathe the oxygen through a mask or through soft tubes in your nose, called nasal cannulae. You can talk, eat and drink while using cannulae. Cylinders containing oxygen compressed into liquid form can contain more oxygen than standard cylinders. This type of oxygen supply will last for longer, and the tank may also be lighter. An oxygen concentrator machine is convenient if you would benefit from having oxygen for a large number of hours a day, including while you’re asleep. It ensures you have a source of oxygen that never runs out. Portable cylinders can provide oxygen at a rate of 2 litres or 4 litres a minute, or have an adjustable scale up to 4 litres a minute. The flow required is determined by your lung specialist or the oxygen service healthcare professional. When full, these cylinders weigh just over five pounds (2.3kg) and hold just under two hours of oxygen (at 2 litres a minute). When going on holiday make sure that you have enough supply to last you plus speak with oxygen providers who can help source medical oxygen for you and even supply back up help for safe peace of mind. 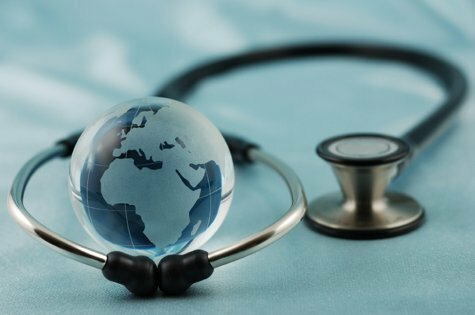 Just because you need to travel with medical oxygen, this need not restrict the opportunities to travel overseas it just takes a little bit more planning. Flying with a Disability offers you the following advice to ensure a safe, happy flight. Travellers who require oxygen for medical use are, unfortunately, subject to a charge per bottle. 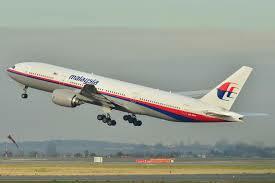 This rate varies between airline, and can be quite expensive. You will need to contact the airline at least 48hrs prior to flying to advise the flow rate, and to get full medical clearance, though this tends to be minor technicality. Charges for portable medical oxygen can vary greatly, usually between £30 and £100 ($50 – $150). It is interesting to note that many airlines charge not per canister, but per leg of your trip. So in a flight which involves two legs, you’re going to be charge twice as much a direct flight, despite the fact that you may be covering the same distance in the same length of time. Economically, therefore, it can work out a lot cheaper if you can organise a direct flight, though this may not always be possible. If you need help with planning your trip use specialised medical oxygen companies who can help answer all your queries and make your journey stress-free and a safe landing. There is also some planning whilst safely on the ground with back up services available for portable oxygen concentrators whilst travelling overseas so you can ensure to have a great holiday with medical oxygen. Travelling with oxygen has become much easier with the development of portable oxygen concentrators (POCs). These devices run on a battery pack, can be recharged, plugged into the wall or a cigarette lighter in a car, and can be taken on airplanes. There are several makes and models, with widely differing features, so it is important to choose the one that is best for you, that delivers enough oxygen to keep your saturation 90 percent or greater at rest and with activity. · Start making arrangements with the airline well ahead of time to find out which POC is allowed. Many airlines list accepted manufacturers and brands on their websites. · Allow plenty of extra time for check-in. · Carry several extra battery packs. FAA regulations require enough battery time to cover 150 percent of the flight time. · POC’s and battery packs can be rented. · Carry an extra three-way plug for recharging your POC in the airport. People often need to recharge their electronic equipment in the airport during layovers, and this will help assure that you will be able to recharge yours. · POC’s are exempt from the carry-on allowance. · Carry a prescription for oxygen, signed by your doctor. For more information about oxygen supply whilst on holiday please enquire now at www.oxygenworldwide.com and register for our SOS back up service. Medical oxygen adds a higher percentage of oxygen to the air a patient uses to breathe. And fire needs oxygen to burn and if a fire should start in an oxygen-enriched area, the material burning will burn more quickly. When more oxygen is present, any fire that starts will burn hotter and faster than usual, it is crucial to follow safety precautions when medical oxygen is in use in a home. Oxygen saturates fabric-covered furniture, clothing, hair and bedding, making it easier for a fire to start and spread, according to the regulator. Smoking is the leading heat source resulting in medical oxygen-related fires, injuries and deaths. Homes where medical oxygen is used need specific fire safety rules to protect people from fire and burns. • There is no safe way to smoke in the home when oxygen is in use. Patients on oxygen should not smoke. • Candles, matches, wood stoves and even sparking toys can be ignition sources and should not be used in the home. • Keep oxygen cylinders at least five feet from heat sources, open flames or electrical devices. • Body oil, hand lotion and items containing oil and grease can easily ignite. Keep oil and grease away from where oxygen is in use. • Never use aerosol sprays containing combustible materials near the oxygen. • Post “No Smoking” and “No Open Flames” signs in and outside the home to remind people not to smoke. • Ensure smoke alarms are working by testing monthly. Daylight saving time weekends are great times to replace smoke alarm batteries. Also consider using 10-year batteries for smoke alarms. • Practice a home fire escape plan with two ways out of every room at least twice a year.